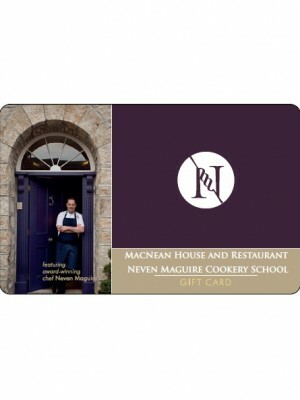 For that special gift why not treat yourself or your loved one to a MacNean Restaurant Gift Card. 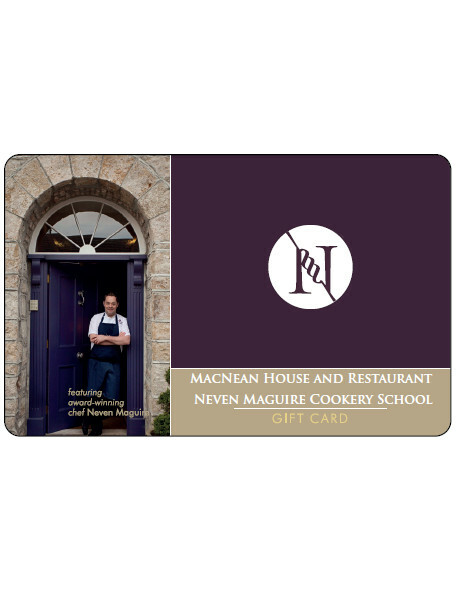 It can be used as payment against any meals or accommodation at MacNean Restaurant, the purchase of personally autographed books by Neven and as payment against any cookery course in the Neven Maguire Cookery School. All Gift Cards are valid for a period of 2 years and are non- refundable. It should be noted that there is currently a high demand for bookings for both the restaurant and accommodation, particularly on Friday and Saturday nights. We are however taking bookings on a two year rolling basis, so patrons will be able to avail of a booking within this two year time frame. The restaurant is currently open from Wednesday through to Sunday and we will endevour to find suitable dates to meet patrons’ dining and accommodation needs.